Sebo BS360 from Gillmans Commercial Appliances. The BS 360 offers premium performance and quality combined with efficiency and economy. Designed to be used for extended periods in comfort, the BS 360 is easy to maintain, with features such as replaceable brush strips and convenient unblocking access points. With a 36 cm cleaning head the BS 360 can clean a wide range of facilities. 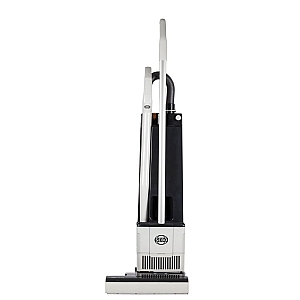 Able to clean flat to the floor, it can reach under furniture and its L-shaped head lets it clean under radiators.